MEULLES, JACQUES DE, seigneur of La Source, chevalier, intendant of New France (1682–1686), son of Pierre de Meulles, king’s councillor, treasurer-general of war supplies; d. 1703. In 1674 Jacques de Meulles’s career in the royal service was assured by his marriage to a daughter of Michel Bégon. 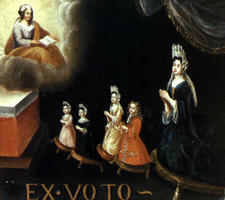 He thereby became related, by marriage, to Jean-Baptiste Colbert, the great minister of Louis XIV. At that time family ties were very close and men in high places were expected to advance the careers of their relatives. When it was decided to recall the intendant of New France, Jacques Duchesneau*, Colbert appointed the son of Michel Bégon – also named Michel – to the vacant post, but at the last minute decided to send him to the West Indies instead. De Meulles, Bégon’s brother-in-law, was then appointed in his place, his commission being dated 1 May 1682. Before leaving for La Rochelle to take ship for Quebec both de Meulles and Le Febvre* de La Barre, the governor general appointed to succeed Louis de Buade*, Comte de Frontenac, were carefully briefed by the Marquis de Seignelay, Colbert’s son, who was now in charge of Canadian affairs, on the manner in which they must discharge their new responsibilities. 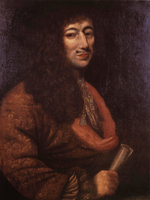 The one thing that Louis XIV and Colbert were most insistent on was that they must avoid, at all costs, the bitter disputes that had paralysed the colony’s civil administration under Frontenac and Duchesneau. Tranquillity and order had to be restored to ensure the well-being of the settlers, which had suffered greatly in the past. De Meulles was instructed that his conduct towards La Barre had to be very different from that which Duchesneau had displayed towards Frontenac. Although the king was sure that La Barre would not behave as Frontenac had been wont to do, de Meulles was bluntly told that if this should occur then he could only remonstrate with the governor, and if this were to be to no avail, submit, then report the matter to the minister for him to deal with. 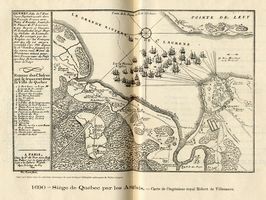 Despite this briefing, when de Meulles and La Barre arrived at Quebec in early October, they were quite taken aback by the intensity of the factional strife in the colony. What came as an even greater shock was to discover that the Iroquois were on the verge of war with the French, had already begun attacking their allies in the west and pillaging French canoes and trading posts, and that the colony was without defences. They immediately called an assembly of the leading men in the colony who informed them that for some time the Iroquois had made plain their intention to drive the French out of the west and divert the fur trade from Montreal to Albany, with themselves playing the role of middleman. And to the north the Hudson’s Bay Company, now well entrenched in its posts on the shores of the bay, was luring the northern tribes to trade there rather than with the French. 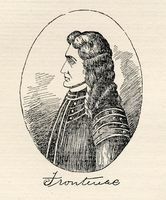 The members of this assembly were all of the opinion that the only way the Iroquois could be restrained was by adopting a much firmer policy than La Barre’s predecessor had employed. A show of force, they declared, and if that failed, the use of it, was the only way to prevent the Iroquois crushing the western allies, one by one, then launching their full strength against New France. La Barre and de Meulles were convinced. They decided that a campaign to attack the Iroquois in their villages was the only sure way of halting their aggression. They immediately sent an urgent appeal to the minister, requesting that 200 or 300 regular troops be sent to defend the settlements, along with 150 indentured labourers to work on the land while the militia were under arms. 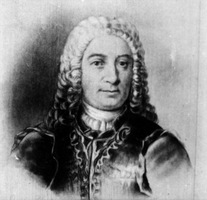 To curb the threat from the Hudson Bay posts, they issued permits to Canadians to trade with the tribes likely to defect to the English and sent orders to one of the leading western traders, Daniel Greysolon Dulhut, to use all his influence to deter them from taking their furs to the English company. With Bishop Laval, and the clergy in general, de Meulles appears to have been on good terms from the outset; certainly they voiced no complaints on his conduct of affairs. With La Barre too his relations were at first excellent, but after some months friction developed. It is difficult to say which of them was more to blame. La Barre certainly displayed a tendency to behave in an autocratic manner and de Meulles accused him of seeking to usurp powers that belonged to the office of the intendant, but a sharp rebuke from the minister was enough to make the governor mend his ways. De Meulles, on the other hand, was by no means so discreet. He quickly revealed a marked propensity for intrigue but was not very adroit in this subtle art. As La Barre made it increasingly obvious that he lacked the ability and strength of character needed to cope with the serious problems facing the colony, de Meulles began to criticize him in dispatches to the minister in terms that bordered on contempt. When warned by the minister that if he were to continue in this fashion he would be recalled, he was foolish enough to reiterate his charges in more detail. De Meulles left no doubt that he wished to have the governor’s powers reduced and his own enhanced. Despite his close family ties with the minister, upon which he may have placed too much reliance, he overreached himself when he requested the minister to instruct the members of the Conseil Souverain to recognize only the intendant’s authority and not the governor’s. Upon receiving this dispatch Seignelay became furious. It appeared that the one thing Louis XIV and the minister had been anxious to avoid, an open conflict between governor and intendant which would open old wounds, was in the making. De Meulles was informed in the next dispatches that anyone who could seriously suggest such a thing clearly demonstrated that he lacked the capacity for the intendant’s post. This was enough to convince de Meulles that he had overstepped the bounds and he immediately ceased to make overt attacks on the governor. A few months later, however, La Barre’s ineptitude, Seignelay’s carelessness, the Iroquois, and disease combined to destroy the governor’s career far more effectively than the intendant could have done. The urgent pleas from La Barre and de Meulles for military reinforcements to cope with the Iroquois threat met with a meagre response. In 1683 Seignelay neglected to deal with the Canadian dispatches at all. A junior official took it on himself to have 150 hastily recruited colonial regular troops sent, but on arrival only 120 were found fit for service, and most of the weapons and supplies sent with them proved to be worthless. Yet, when in 1684 the Iroquois made a direct assault on Fort Saint-Louis in the Illinois country, La Barre came under pressure from all sides to attack the Iroquois villages to prevent their overrunning the west. In July he left Montreal with all the available troops and militia, nearly 800 men, and 378 allied Indians. The expedition got no farther than Fort Frontenac (Cataracoui) where an epidemic of Spanish influenza reduced it to helplessness. 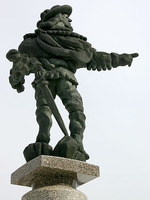 La Barre was forced to treat for peace with the Iroquois and accept their humiliating conditions. In his dispatches to the minister, dated 15 July and 14 August, whilst the expedition was underway, de Meulles, with rare prescience, expressed the fear that La Barre would not attack the Iroquois but would come to terms. When Louis XIV and the minister learned that this was indeed what had happened orders were immediately issued recalling La Barre, and the intendant’s judgement appeared to be vindicated. De Meulles, however, had little time to gloat. He had his hands full coping with a drastic situation in the colony. As intendant he was directly responsible for the welfare of its settlers and they were now in a sorry plight. The disease that had incapacitated the army spread through the colony with a heavy death toll. That summer four more companies of troops arrived but without arms, adequate supplies, or cash for their pay. De Meulles raised what money he could and when that was exhausted he released the soldiers to work on the land for wages. From this time on the curious practice of using regular troops as a civilian labour force, and the civilian militia for military operations, was to endure. Once the harvest was in, however, the habitants did not need this labour and de Meulles had to resort to another expedient to pay the troops. He deserves a good deal of credit for the imaginative and ingenious device that he now inaugurated: the issuing of the first paper money to circulate in North America. He took packs of playing cards, of which there seems to have been a plentiful supply, and made money of them by writing an amount on the back, with his signature. He issued an ordinance declaring that the cards would be redeemed as soon as the ships arrived from France with the annual supply of funds; meanwhile they had to be accepted at face value. This paper money had greater success and a longer life than de Meulles could ever have anticipated. There was always a shortage of currency in the colony (beaver skins were much used in lieu of it), and the card money filled a real need. In the years that followed, no sooner was the card money redeemed than necessity, or convenience, caused it to be reissued. The colony thus had a unique but viable monetary system of its own; one that, on the whole, served it well. 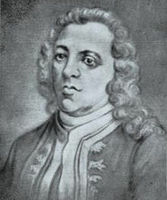 While performing this useful service de Meulles sent detailed accounts of La Barre’s Iroquois campaign to the minister, claiming that but for the governor’s pusillanimity the enemy would have been crushed, blaming all the mishaps on La Barre, and claiming that the colony was all but lost. He was careful to add, however, that despite all this he was on the best of terms with the governor. 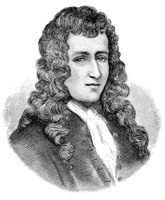 In the summer of 1685 La Barre’s replacement as governor general, Jacques-René Brisay de Denonville, arrived. He was a very different type of man from La Barre and he wasted no time making detailed plans to cope with the serious problems that beset the colony. Among other things, it was brought to his attention that de Meulles had been guilty of serious malversation. In one of his first dispatches to the minister he declared that the intendant was so greedy for personal gain that he was regarded with contempt by the people. He stood accused of selling fur trading licences (congés) for 1,000 livres each, and Denonville found the king’s stores in a state of total confusion. To stop the intendant trafficking in these goods Denonville had triple locks placed on the warehouse, requiring the attendance of himself, de Meulles, and the storekeeper before anything could be removed. When the governor had accumulated sufficient evidence against de Meulles he faced him with his charges and offered to say nothing to the minister provided the intendant would mend his ways. De Meulles, however, merely protested his complete innocence and showed no inclination to heed the governor’s advice or warnings. Denonville therefore felt that he had no recourse but to give a detailed report to both the minister and the Marquis de Menars, an influential member of the Colbert clan and a close relative of de Meulles’s wife. While Denonville was writing these reports, a task which he clearly found distasteful, de Meulles was on his way down the St Lawrence by bark to make a tour of Acadia. The minister had instructed him to report on the resources of the area and particularly on the possibility of establishing sedentary fishing stations, which would provide employment for the Canadians and a market for the colony’s agricultural produce. De Meulles was away from Quebec from early October until the following September. Upon his return he received a rude shock – a curt dispatch from the king ordering him to return to France. On 23 September, he appeared at a meeting of the Conseil Souverain for the first time since his departure for Acadia, but only to preside over the meeting while the commission of his successor, Jean Bochart de Champigny was registered. That done, he took his leave of the council, was escorted out of the chamber by two councillors in the usual manner, and shortly afterwards set sail for France. When he subsequently sought an interview with the minister, he was refused. He was understandably bitter at this turn of events. He claimed that Denonville had grossly slandered him and would one day be brought to account for it. It is impossible to say with any certitude whether his plea was justified, but Denonville was a very scrupulous man, and no fool. He may have accepted false testimony and grossly misjudged de Meulles, but this does not seem likelet the sisters of the Hôtel-Dieu wrote in their journal that de Meulles had been maligned and had discharged his responsibilities in an exemplary manner. Whether or not they were in a position to know all that had occurred is open to doubt. Certainly de Meulles in his criticism of La Barre had shown a marked lack of scruples, moderation and sagacity, although much of what he said had been justified. Had Denonville’s accusations not been well substantiated, given de Meulles’s close family connections with the minister, it is unlikely that they would have been entertained. On the credit side of de Meulles’s ledger stands the fact that he was intendant of New France during an extremely difficult period; and had to deal with a governor who was clearly incompetent, and a minister, Seignelay, who made no real attempt to understand, let alone deal with, Canadian problems until compelled to do so by the failure of La Barre to cope with the Iroquois threat. De Meulles did show considerable flexibility and originality in his response to some of these problems, particularly his employing the colonial regular troops as a labour force during an emergency, and his introduction of card money. In addition, it was he who was responsible for the acquisition by the crown of Jean Talon*’s derelict brewery, beginning its renovation and conversion into the Palais de Justice. Back in France, he retired to Orléans, where he had purchased the post of chief magistrate, and there he appears to have remained until his death in May 1703. AN, Col., B, 8–11; C11A, 6, 7; F3, 2, f.130. ASQ, Lettres, M, 62, 71. BN, MS, Clairambault 849, f.73; Fr. 22669, f.322. Caron, “Inventaire de documents,” APQ Rapport, 1939–40, 247, 251, 261. Coll. de manuscrits relatifs à la N.-F., I, 345. Documents relating to Canadian currency during the French period (Shortt), I. Juchereau, Annales (Jamet). Jug. et délib., II. “Lettre de l’intendant de Meulles à M. Peuvret de Mesnu,” BRH, XXXV (1929), 179. Ord. comm. (P.-G. Roy). Eccles, Canada under Louis XIV. Lanctot, Histoire du Canada, II. W. J. Eccles, “MEULLES, JACQUES DE,” in Dictionary of Canadian Biography, vol. 2, University of Toronto/Université Laval, 2003–, accessed April 21, 2019, http://www.biographi.ca/en/bio/meulles_jacques_de_2E.html.